Give your salads a personal touch with a drizzle of homemade dressing. You may never use bottled dressing again! 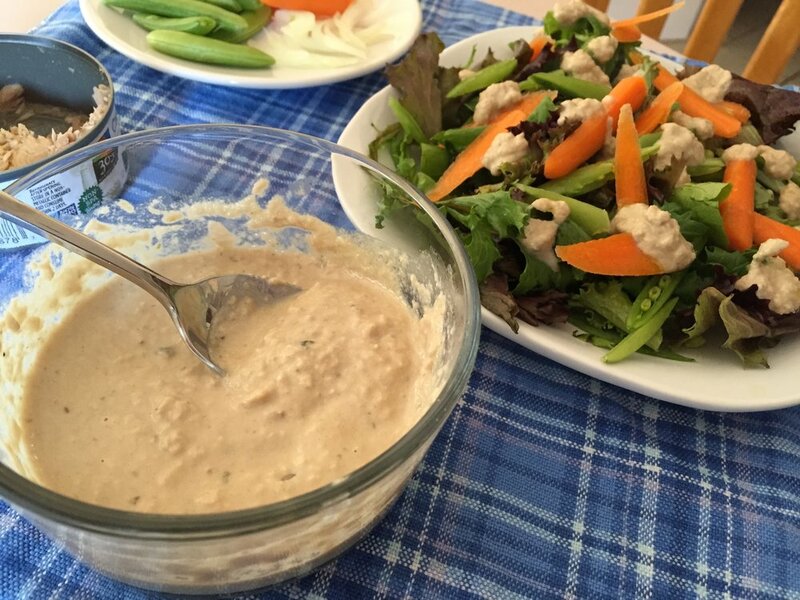 Including tuna fish in the dressing gives this salad its unique flavor. In a bowl combine the vinegar and seasonings and whip by hand until frothy. Whip in the oil in a thin stream. Taste and correct the flavor balance. Combine all ingredients and drizzle with tuna vinaigrette. Enjoy! Newer PostStill Keeping it cool and refreshing!